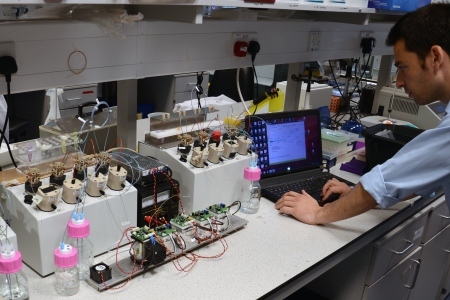 The University of Liverpool is working with a business which is developing an automated system to reduce the time spent on the painstaking procedure of DNA sample preparation. The project which involves Skalene Limited, the University’s Centre for Genomic Research is designed to produce the best possible samples from small quantities of swabs and to remove as much of the human labour as possible in the process. The new device, called the Black Box, takes the DNA and shears the sample down from long strands to much shorter sequences suitable for sequencing. 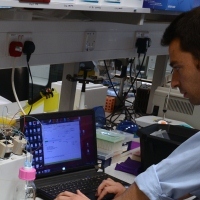 This process results ten times less DNA being used, compared to the conventional method of humans using pipettes. The team is aiming to make it 50 times more efficient in the future – enabling much better sequences to be obtained from smaller samples. Professor Neil Hall from the University’s Centre for Genomic Research has been working with Skalene’s Dr Julian White on the project. Along with colleague Dr Linda D’Amore, he has been testing the equipment and helping to develop workflows. The new system is also easier to maintain than alternatives, with plastic tubes replacing complex microfluidic chips.